Last week Aoife Daly came to the museum in Bremerhaven to take samples of the wood of the so-called Bremen Cog, our famous 14th-century ship wreck, to use them for dendrochronological research. 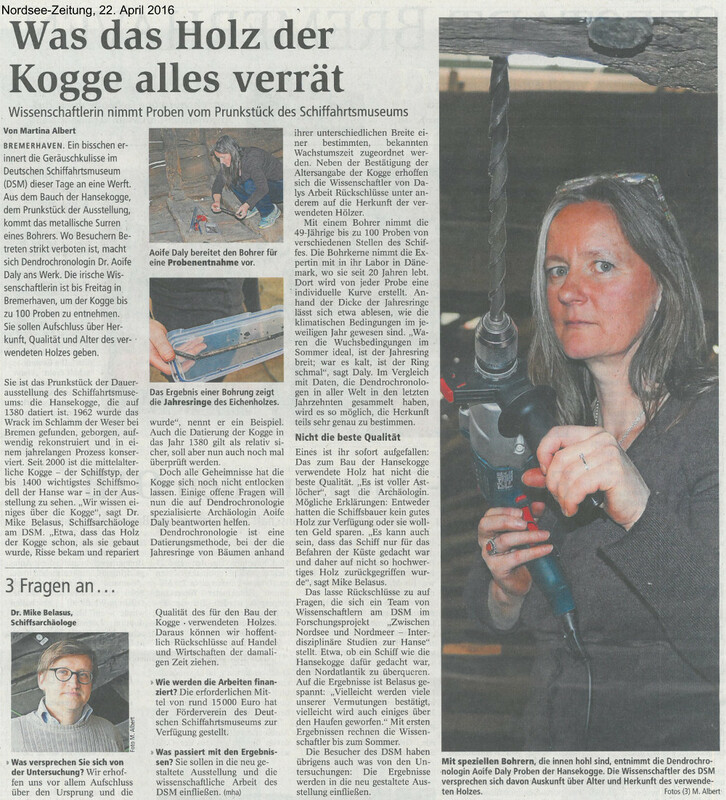 Martina Albert came along to see what she was doing and wrote a nice article (in German) about the work on the ship, published in the Nordsee-Zeitung, 22 April 2016. With kind permission of the author. A photo impression of the dendrochronological sampling can be seen on our facebook page. 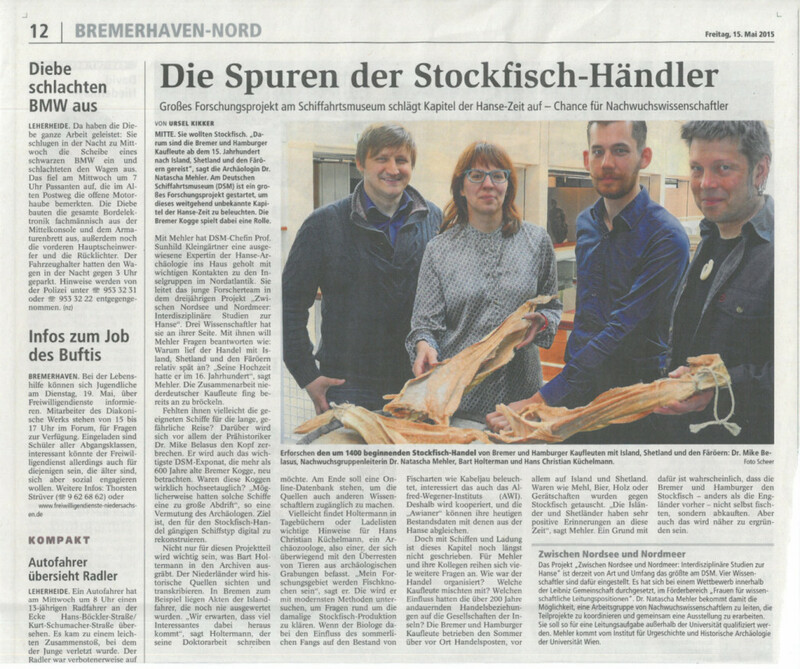 Ursel Kikker published an article about our project in the Nordsee-Zeitung, 15 May 2015. With kind permission of the author.